The book’s bigger size allows for the larger eye-catching illustrations, which depict babies of different races rocking to and fro together. The back cover shows the notes to the song in case you might want to play it on an instrument. 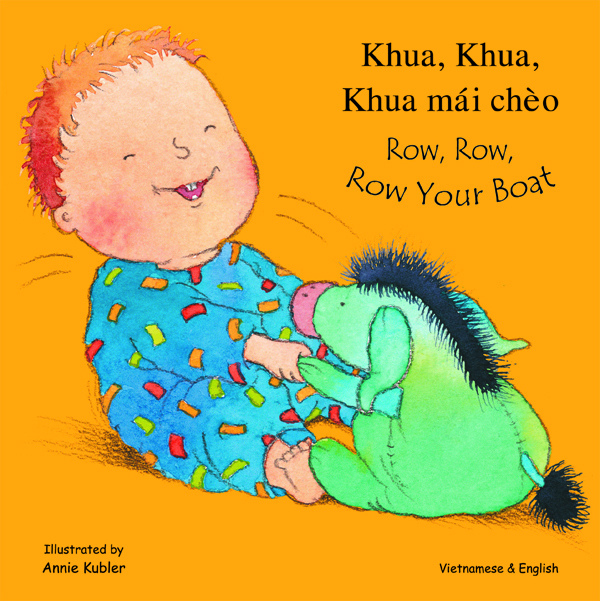 Row, Row, Row Your Boat is a vailable in English with translations in Arabic, Bengali, Chinese Simplified, Chinese Traditional, Farsi, French, Haitian Creole, Hmong, Italian, Polish, Portuguese, Russian, Somali, Spanish, Tagalog , Urdu and Vietnamese. Previous Post5 Tips to Help Bilingual Children Shine in the ClassroomNext PostSupport Your Dual Language Learners with $250 Worth of Bilingual Books! we want develop morre strategies on this regard, thanmk you for sharing.